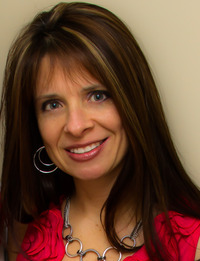 Christine Ardigo is a Registered Dietitian/Personal Trainer who writes contemporary romance novels in her spare time. When weight lifting, rock climbing, white-water rafting, and jumping out of airplanes wasn’t enough, she decided to fulfill a dream she had as a child: to write a book. She's lived in New York her entire life and can’t imagine living anywhere else. She has the beaches, the bay and the city, all a half hour away. She's built memories here with her husband, two silly daughters and a bunch of crazy friends, all whom she loves very much. We’d love your help. Let us know what’s wrong with this preview of Cheating to Survive by Christine Ardigo. We’d love your help. Let us know what’s wrong with this preview of Every Five Years by Christine Ardigo. "You should never second guess true love! So many years wasted trying to make silent decisions for one another. This was never a story about chance encounters, but a story of fate and true love. " We’d love your help. Let us know what’s wrong with this preview of Unraveled by Lisa-Marie Cabrelli. We’d love your help. Let us know what’s wrong with this preview of I Kissed A Ghost by Robin Leigh Morgan. We’d love your help. Let us know what’s wrong with this preview of Sweet Nothings by Natasha Lake. ...May 23, 2014 to June 22, 2014... Feel free to ask me any question. Brigitte wrote: "Thank you for the add Christine. Good to meet you :)"
Thanks for the add, Christine, lovely to meet you!